Utilizing his good speed and batting skills, Keeler developed the "Baltimore chop" to bounce the ball over and between infielders. 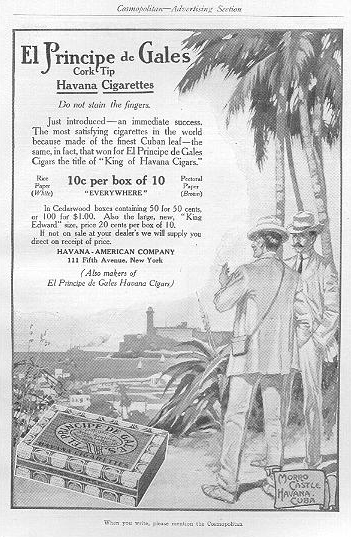 From 1894 to 1901, he collected 200 hits each season. He had 2,947 career hits, 1,719 runs, and a .341 batting average. 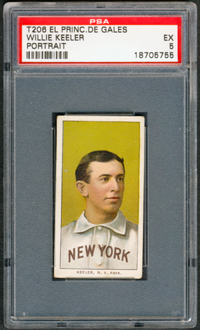 In 1897, he hit in 44 consecutive games. 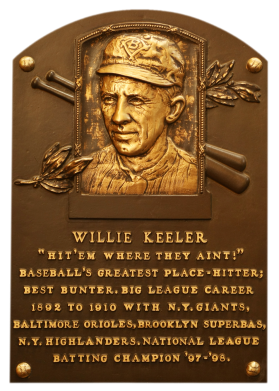 That same year he notched a personal best .432 batting average, leading the league with 243 hits in only 128 games.Immortal Cooperstown inductee Wee Willie Keeler was one of the best line drive hitters in baseball history. His statistics are synonymous with his famous "hit 'em where they ain't" and "keep your eye on the ball" quotes. 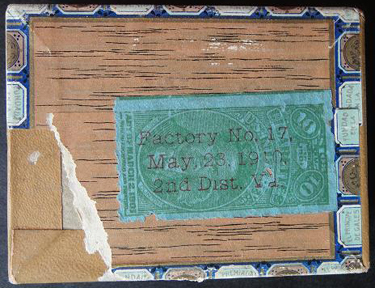 Comments: Keeler is one of the few great ballplayers that enjoyed Cooperstown worthy statistics in both the 19th and 20th centuries and his cardboard artifacts are highly sought after by advanced collectors. Currently, no type card issue is hotter than assembling rare T206 advertisement backs. 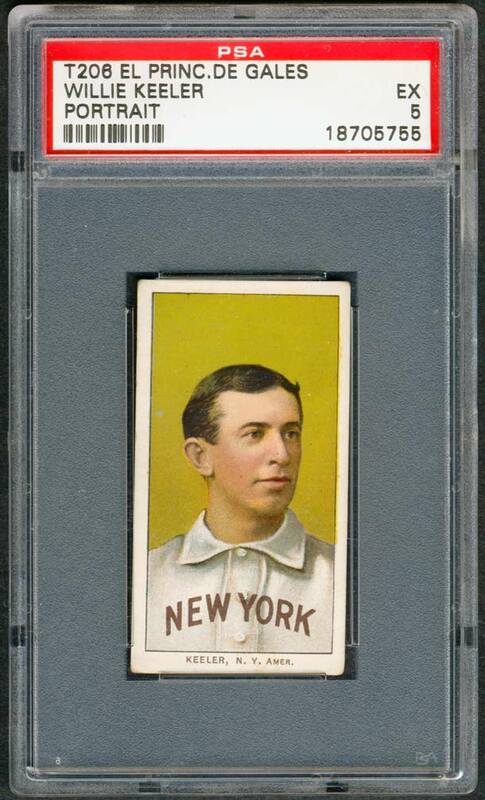 But, I didn't always have a neat back for Keeler, having first bought a PSA 4 Piedmont card in February, 2003. But, it always has been T206 for this guy. 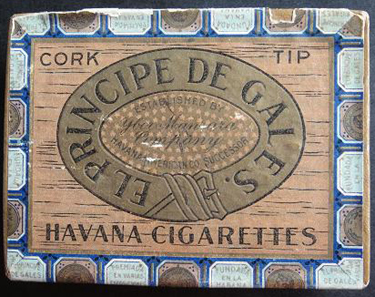 In October, 2005 I swapped the Piedmont reverse for a SGC 30 El Principe de Gales back. In November, 2006 I "upgraded" to a PSA 4. The corners were nicer as was the centering but the focus was horrible - I hated it, Willie looked cross-eyed. Luckily, in September of 2011 this PSA 5 showed up on eBay and I snapped it up. 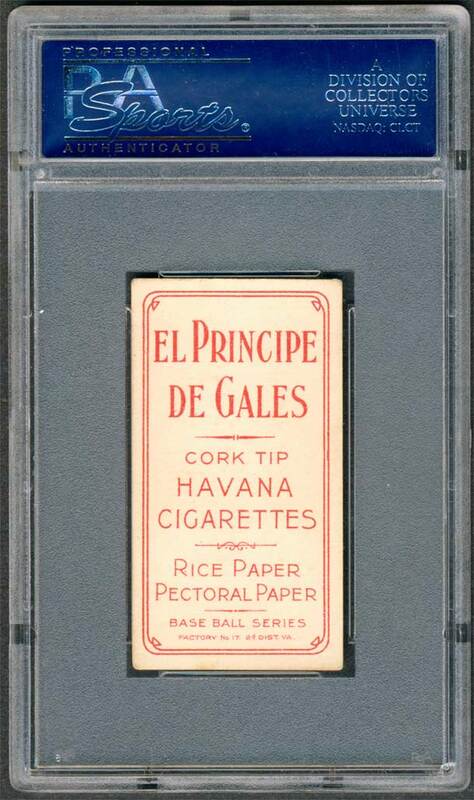 One of the tougher T206 cigarette ad backs to obtain, "El Principe De Gales" tobacco cards of common players are highly desirable, let alone ones carrying the image of one of baseball's immortal Hall of Famers. 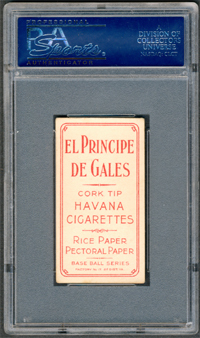 Substantiating its scarcity are the combined SGC and PSA census reports which list only 6 other Keeler "Portrait" examples carrying the renowned "El Principe De Gales" red advertisement. Only a handful could be more coveted than this obscure T206 keepsake that presents a bright Carl Horner portrait pose of the legendary Keeler. 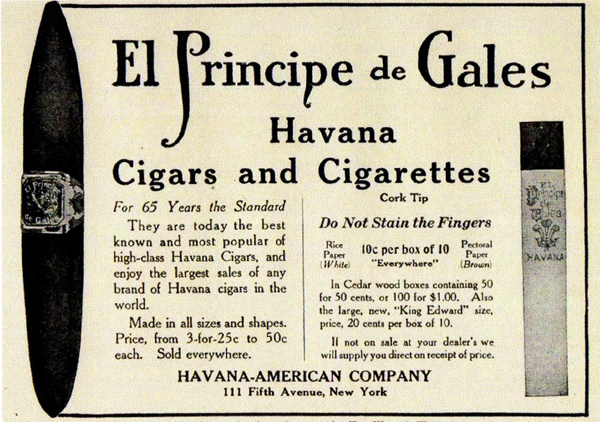 The critical reverse side "El Principe De Gales" Cigarette ad still exhibits its original vivid bold a super clean olive green background, only red typography and both surfaces are free of any obtrusive flaws. Overall, this is a super aesthetically pleasing card.